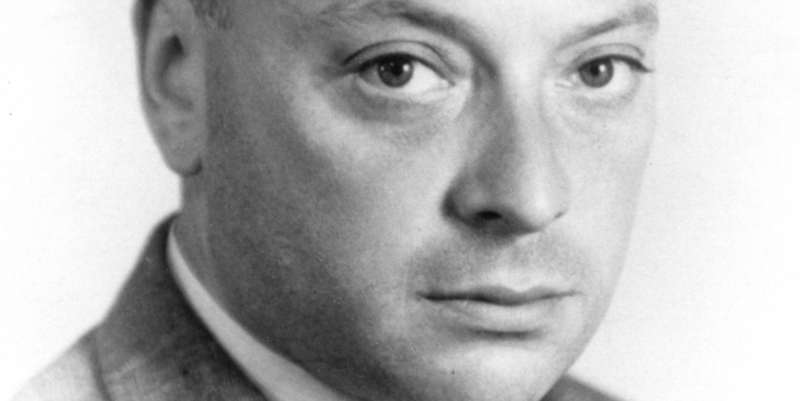 Wolfgang Ernst Pauli was an Austrian-born Swiss theoretical physicist who is one of the founding fathers of modern day quantum physics. He was presented with the Nobel Prize in Physics for his outstanding contributions to the discovery of spin theory. His life and work heavily contributed to advances in theoretical physics that are still felt today. Wolfgang Ernst Pauli was birthed April 25th in 1900 to a chemist named Wolfgang Joseph Pauli and Bertha Camilla Schutz. His family was well-known in their community as his grandfather was physicist Ernst Mach, his paternal great-grandfather was none other than Wolf Pascheles, a popular Jewish publisher, and his maternal great-grandfather was Friedrich Schutz, a well-known Jewish Writer. Pauli shared his childhood with a sister named Hertha Pauli, who later in life choose to pursue acting and writing. Their history with religion was contentious, with his mother being Roman Catholic and his father having converted from Judaism into Roman Catholicism before he married. Pauli himself was raised within the Roman Catholic Church but his family eventually left the Church and from that point on has been considered a mystic and deist. Pauli’s family was focused on furthering themselves via education so he attended the Vienna Döblinger-Gymnasium, where he graduated with distinction in 1918. He was already well established as a scholar and thinker, almost immediately publishing his first paper on the theory of general relativity from Einstein only two months after he graduated. He continued to work on a variety of papers and then attended the Munich based Ludwig-Maximilian University, working directly under German theoretical physicist Arnold Sommerfeld. He received his Ph.D. in 1921 after submitting a dissertation on the quantum theory of ionized diatomic hydrogen. Immediately after he graduated with his Doctorates degree, Sommerfeld requested that Pauli continue his research into the theory of relativity. Sommerfeld was interested in his work and was focused on seeing a review from Pauli published in the Encyclopedia of Mathematical Sciences. Pauli was able to complete the article within two months of graduating, submitting a comprehensive 237 pages which were highly praised by Einstein and continues to be used as a standard reference on the subject to this day. Pauli then spent a year assisting Max Born at the University of Göttingen followed by a year in Copenhagen at the Institute for Theoretical Physics. After his time at this locations, he spent five years (1923-1928) lecturing for the Univesity of Hamburg. Within this time period, Pauli was a cornerstone when it comes to developing the modern theory of quantum mechanics. Specifically, he spent time formulating the theory of nonrelativistic theory and the exclusion principle. Between 1928 and 1935 he held a variety of positions including a position with ETH Zurich as a Professor of Theoretical Physics. Additionally, he was awarded the Lorentz Medal in 1931. Pauli moved to the United States following issues of his citizenship and the denial of Swiss citizenship. After he settled into the new country, he was employed by the Insitute for Advanced Study as a professor of theoretical physics. After WWII, he became a naturalized citizen of the US, subsequently returning to Zurich and eventually being granted Swiss citizenship in 1949. In 1958, he was awarded the Max Planck medal. Pauli left the Roman Catholic Church in 1929, later marrying his first wife, Kathe Margarethe Deppner, in December of that year. The marriage was unhappy and resulted in a divorce within the first year. Shortly after the split, his mother completed a suicide, which leads to an immediate decline for Pauli. He spent time speaking with Carl Jung, who quickly began to interpret Pauli’s dreams. This led to Pauli studying Jung’s methods deeply, quickly becoming his best student. Eventually, Pauli began to criticise different areas of Jung’s science, leading to great specificity into Jung’s thoughts and thought processes when it came to synchronicity. Many of these discussions are well-documented and have been published as Atom and Archetype, with Jung’s analysis of Pauli’s dream documented in Psychology and Alchemy. There are many accounts of Pauli’s oddities and foci throughout his life. An effect called the Pauli effect was coined directly after his unusual ability to break equipment just by being in the same room. He was apparently delighted at the associated and found joy in the Pauli effect manifesting around him. He enjoyed them so much because it coincided with his collaboration with Jung on the concept of synchronicity. He never had children with either of his wives. Pauli was an important member of the physicist community, contributing a plethora of information, research, and criticisms within the field of quantum mechanics. He rarely published work, greatly preferring to have lengthy correspondence with his colleagues. As a result of this, there are many results and ideas that were never published, something that never bothered him. 1924 New Quantum Number – Pauli proposed a new quantum degree of freedom, espousing the idea of two possible values. 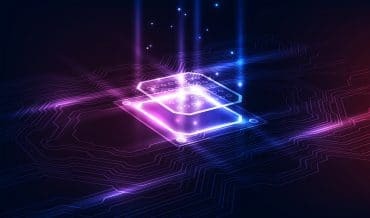 This helped to tie loose ends when it came to issues between the development of quantum mechanics theory and observable molecular spectra. He formulated the Pauli exclusion principle which posited that two electrons were incapable of existing within the same quantum state. 1926 Spectrum of Hydrogen Atom – Following the publication of Heisenberg’s matrix theory of modern quantum mechanics, Pauli utilized it to derive the observable spectrum of the hydrogen atom. This data was crucial in ensuring that Heisenberg’s theory was seen as credible in the scientific community. 1940 Spin-Statistics Theorem – Pauli previously has introduced the 2 x 2 Pauli matrices for the basis of spin operators. This work solved the nonrelativistic theory of spin. In 1940, Pauli re-derived his theory, leading to critical results in quantum field theory. 1949 Pauli-Villars Regularization – Pauli released a paper in 1949 that helped to modify infinite mathematical integrals. This meant that infinite quantities such as charge, mass, and wavefunction were able to form fine and calculable sets. Pauli’s actual work could easily exceed the scope of this writing. He was an instrumental member of the physics community. In 1958 Pauli was diagnosed with pancreatic cancer. He quickly fell ill and was no longer able to perform regular functions. He was visited by previous assistants and those who had worked with him throughout his life. He died in room 137 in December of 1958 at the Zurich based Rotkreuz hospital, a fact that tickled him because of the question of why the fine structure concept has a value basically equal to 1/137.